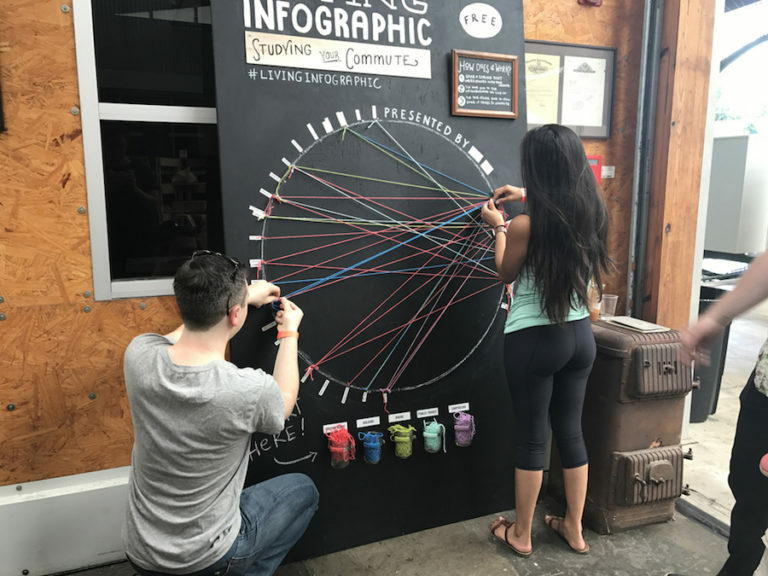 Do you think that participants in this interactive project have come away with a new perspective on their driving-alone commutes? Are they now viewing their commuting mode with a critical eye? As you’ve talked with the participants, do you get the sense that the high number of “drive alone” commuters is a product of preference or of inadequate choices? Or maybe even of an overall built environment (where our homes and destinations are located and how they’re connected) that reduces choice? 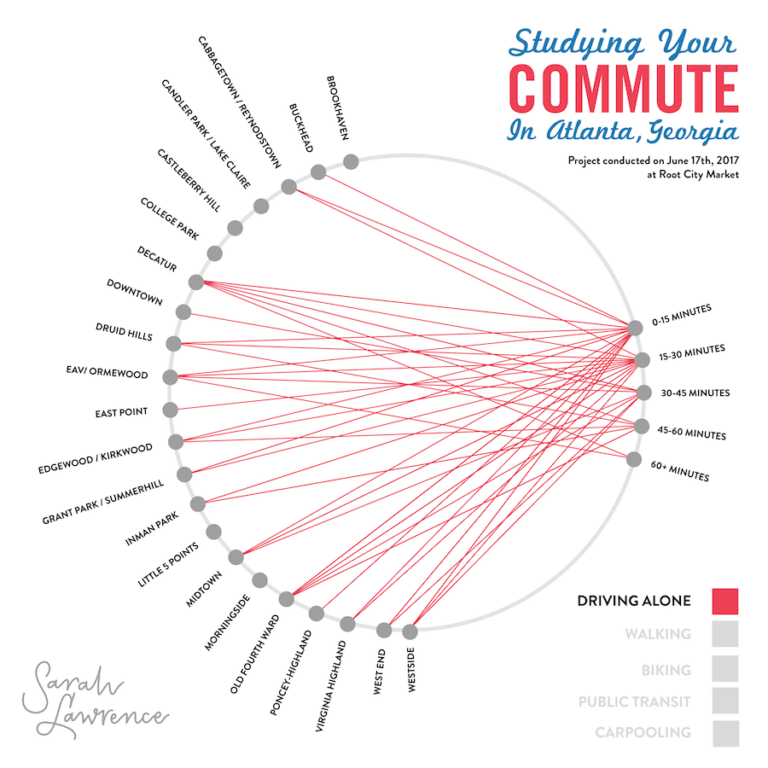 According to the most recent American Community Survey data from last year, 69 percent of residents of the City of Atlanta drive alone to work, which is actually not bad for a sunbelt city when you compare the numbers. But surely we can do better and reduce that percentage intown. The most troubling thing about that number is that it hasn’t changed — we were also at 69 percent for driving-alone commutes in 2005. Can city residents break the car commute habit? What’s keeping that percentage from moving? Is it a need for better alternatives (better connected bike lanes, more frequent bus service)? Or is our overall built environment just not what it should be in terms of facilitating choices in commute mode? Previous Previous post: Could a switch to daily parking passes help reduce solo car commuting in Atlanta?